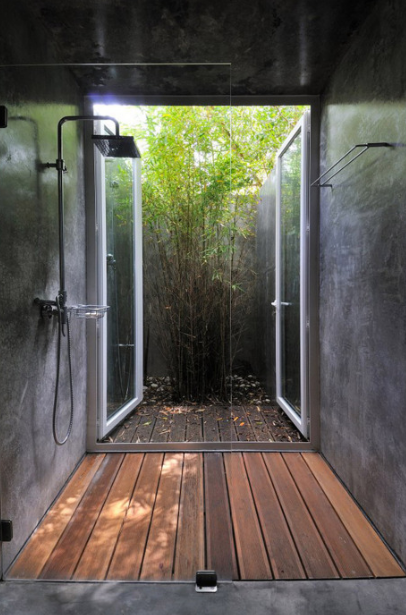 Want to get close to nature? 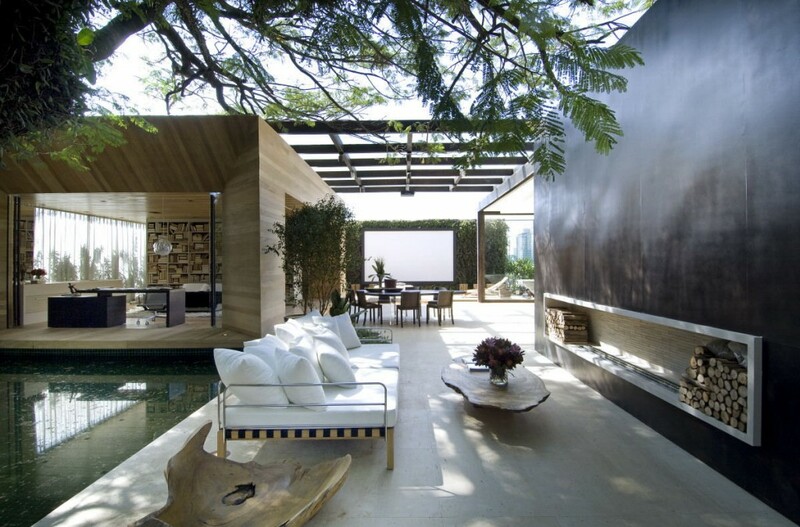 Scroll through this collection of living spaces that blur the line between indoors and out. 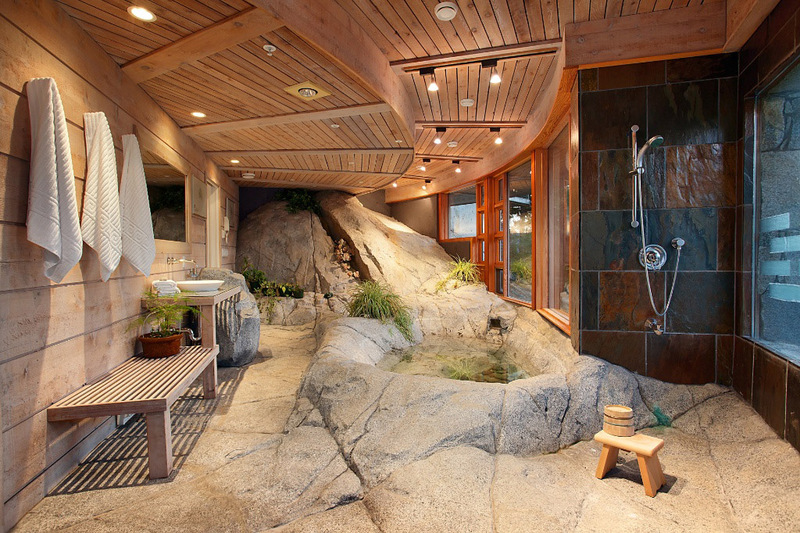 An open-concept home in Joshua Tree National Park. 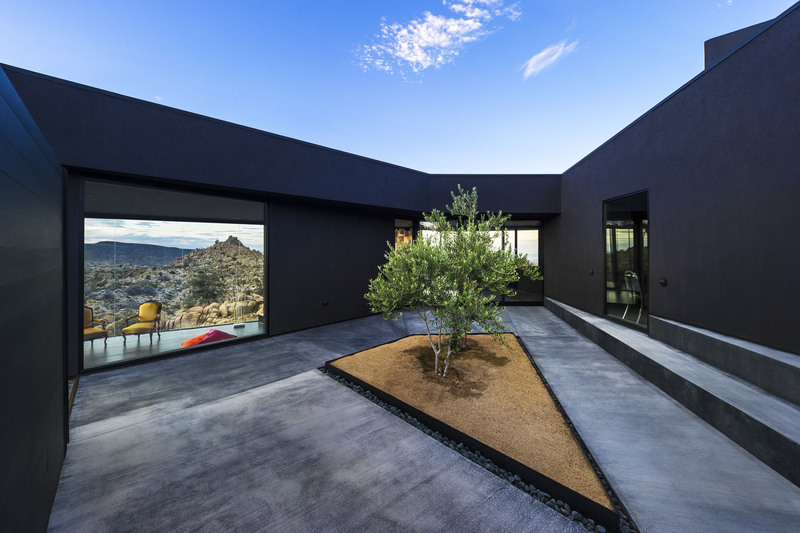 The Black Desert House by Oller & Pejic Architecture invites the outdoors in with its floor-to-ceiling windows and inner courtyards. And this bathroom that’s just as much outdoors as it is indoors. 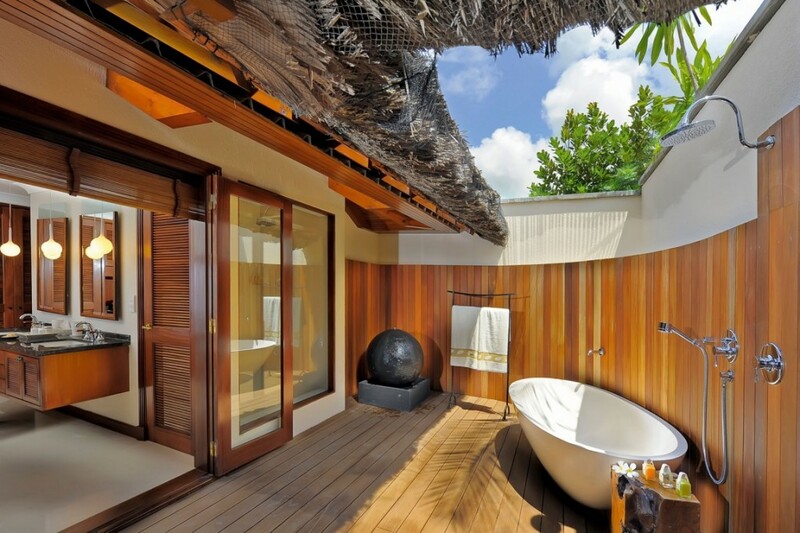 An indoor-outdoor bathroom in the luxurious Constance Lémuria Seychelles resort, previously featured in our roundup of 13 outstanding outdoor bathrooms. 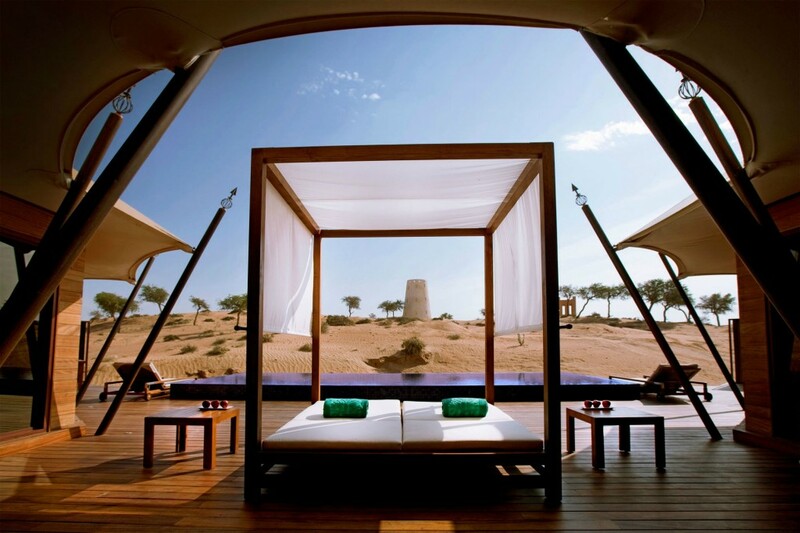 This bedroom oasis in the Arabian Desert. Keeping the sand at bay is a full-time job — but not yours. The room is part of the Banyan Tree Al Wadi resort in the United Arab Emirates. 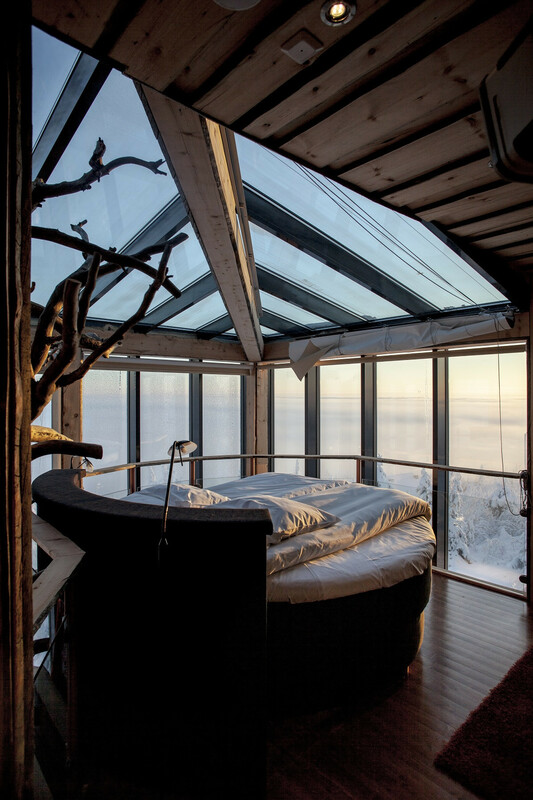 Book a stay here. 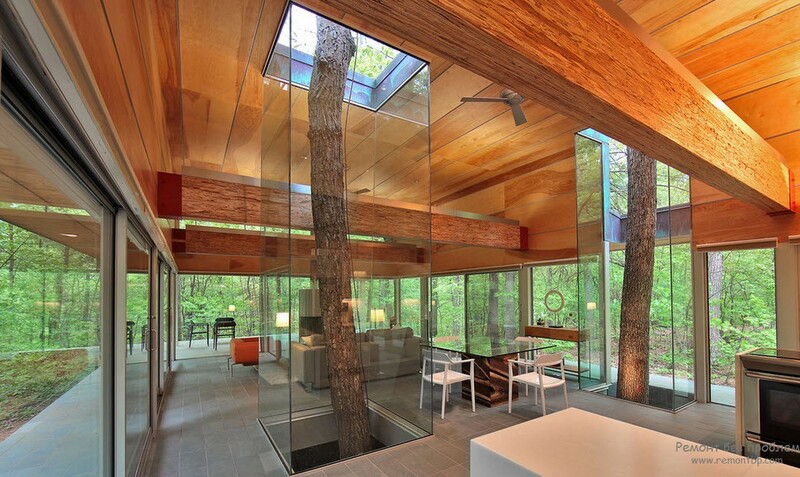 This house that literally invited the outdoors into the living room. PAZ Arquitectura designed and built this home in a forested area of Santa Rosalía in Guatemala City. And this one that did the same in the kitchen. 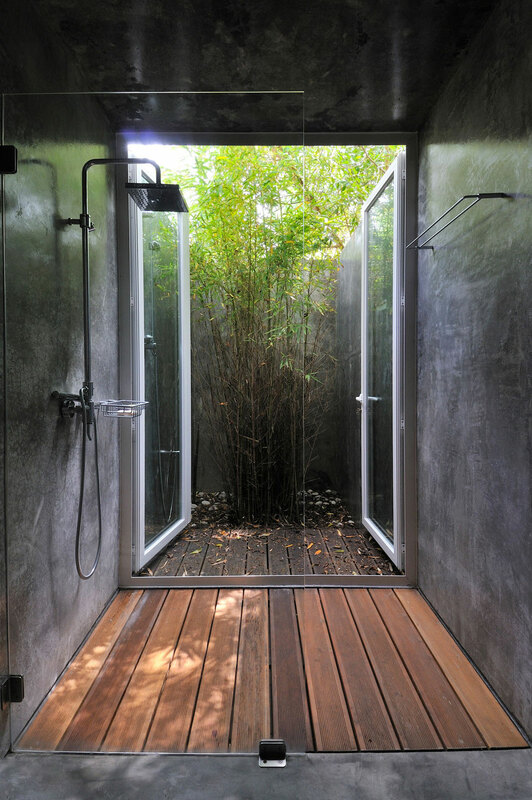 More homes that wrap themselves around nature here. 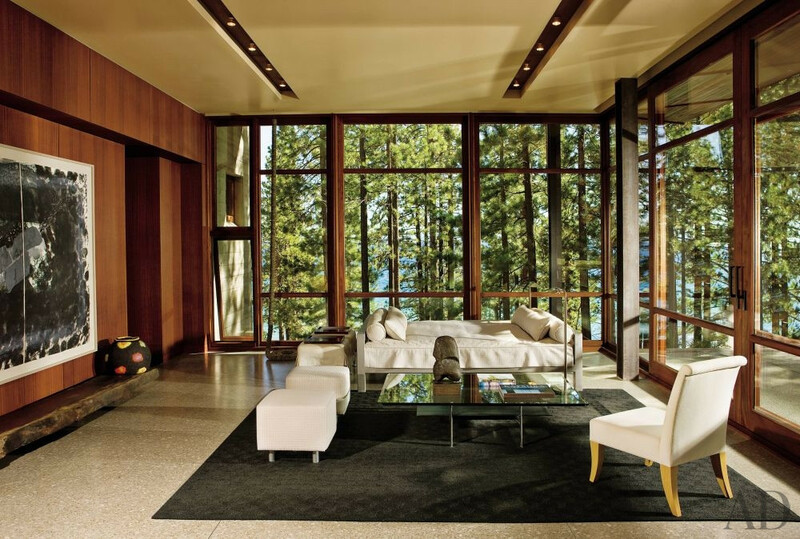 This house that instead of banishing winter, offers residents a front-row view. 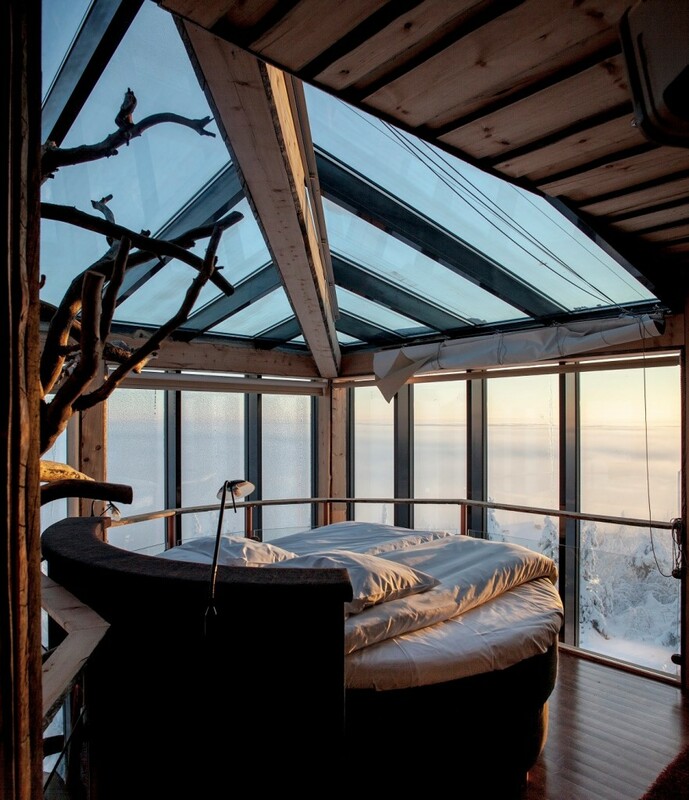 The view is good enough, no reason to actually go out into the cold. 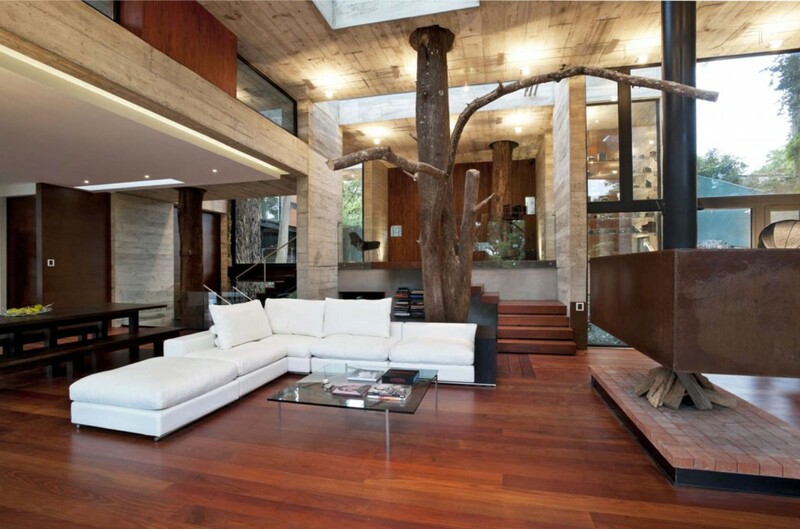 This wooden home that feels like a luxury tree house. 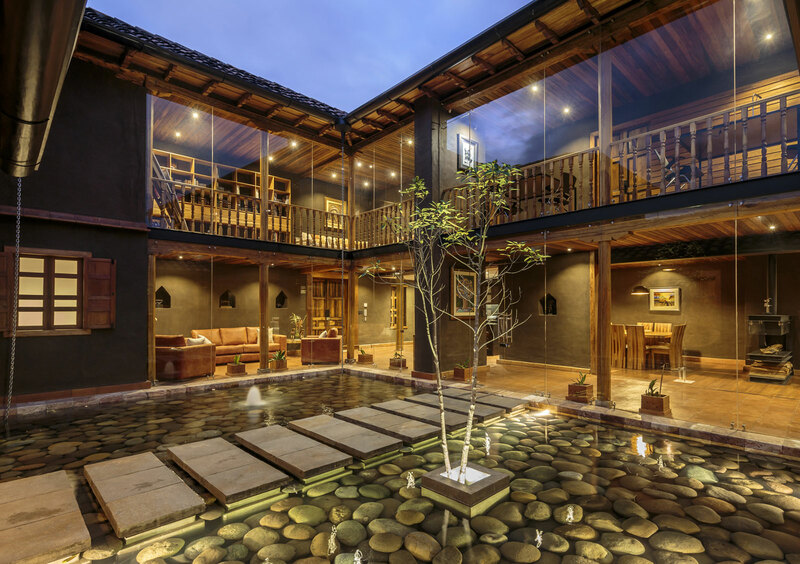 This house with a glass facade overlooking an aquatic inner courtyard. 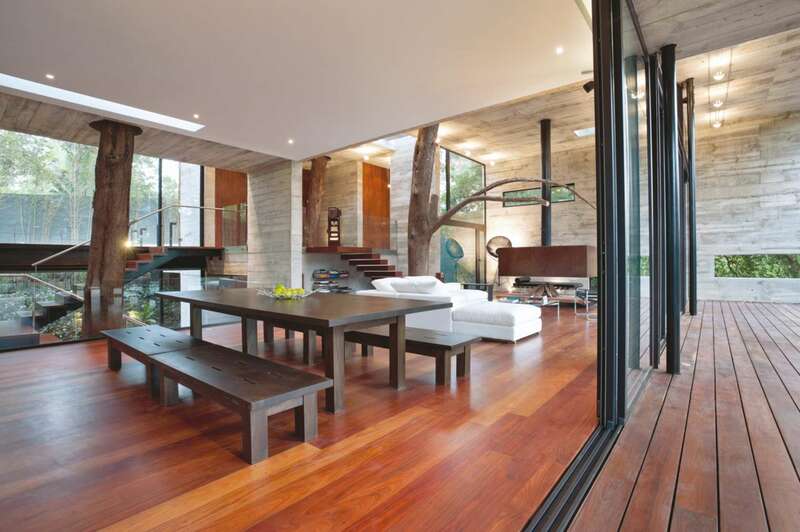 Architect Iván Andrés Quizhpe‘s Loma House in Ecuador. 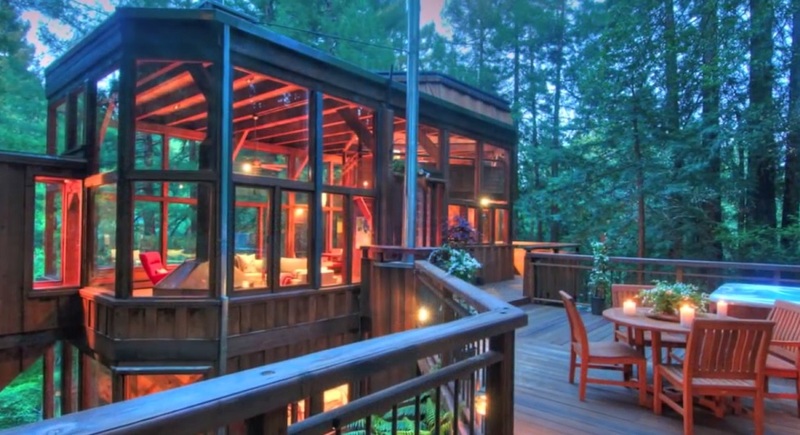 This beautiful tree house-inspired home with bridges and sun rooms. 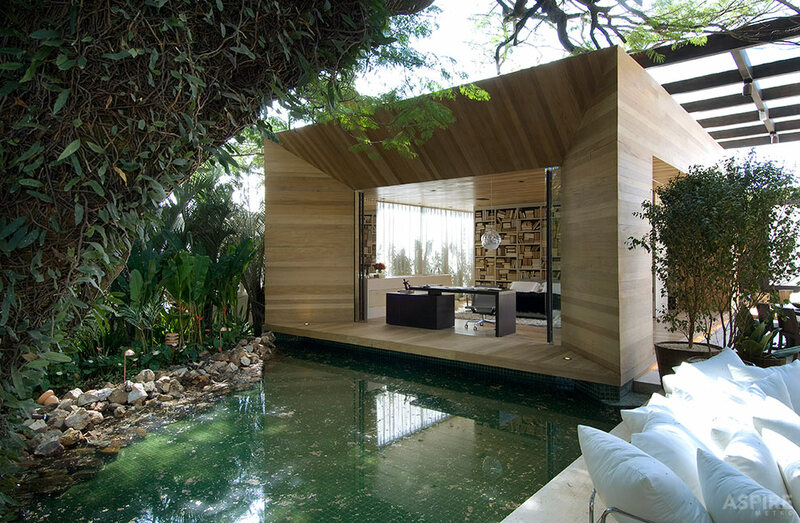 For outdoor lovers, Loft 24/7 by Fernanda Marques has it all: an uncovered living room, pond-side office and reading nook, and more foliage than a jungle. 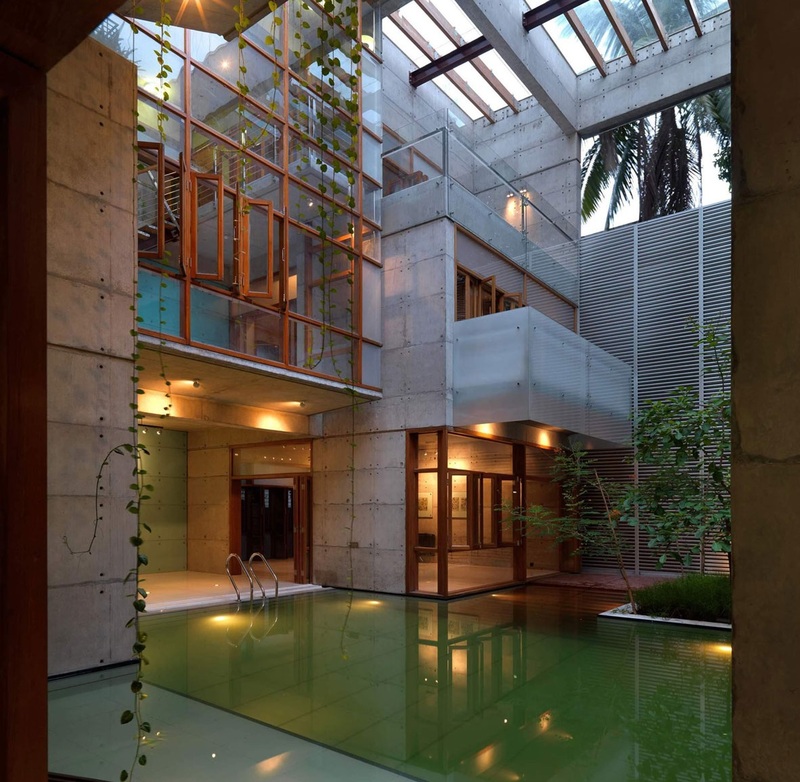 This indoor pool that’s been overrun by vines. 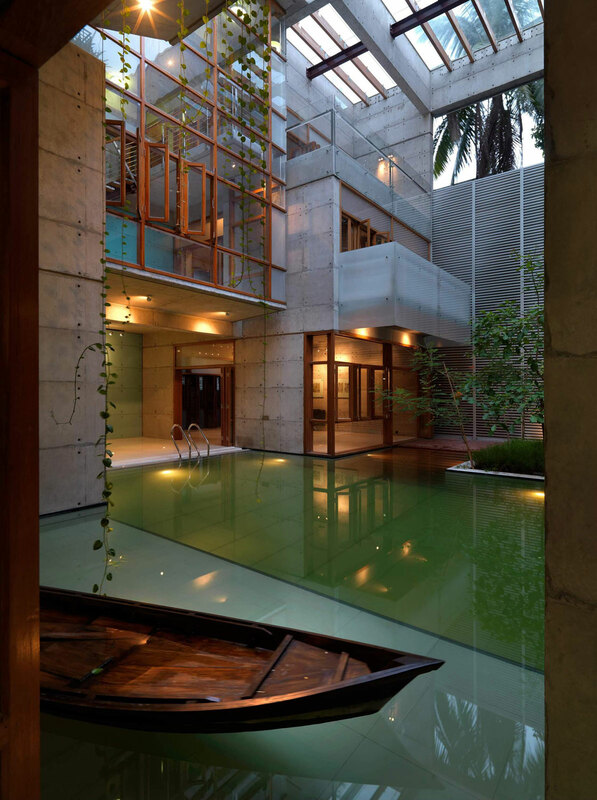 This ocean-side property with an infinity pool moat. Impossible to tell where the pool ends and the ocean begins. 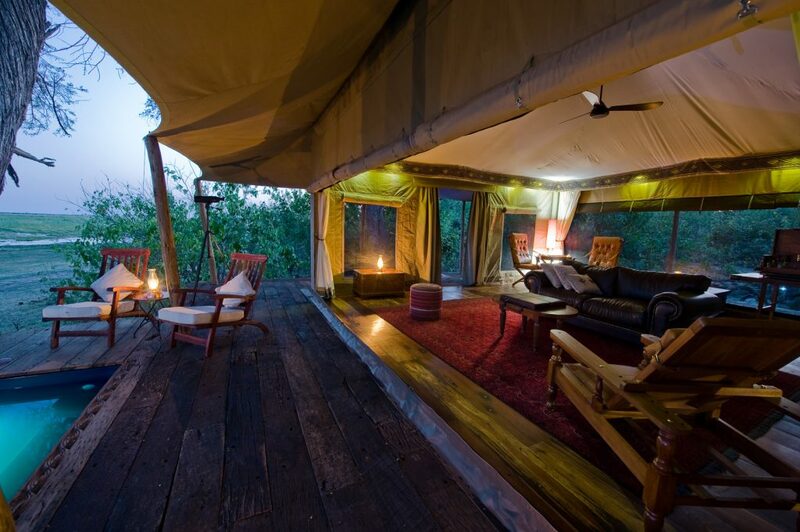 This luxury tent retreat in Botswana’s Zarafa Camp. Each of the 1,000-square-foot “tents” boast a lounge with a gas fireplace and World War II hand-crank phone, which guests use to order room service. 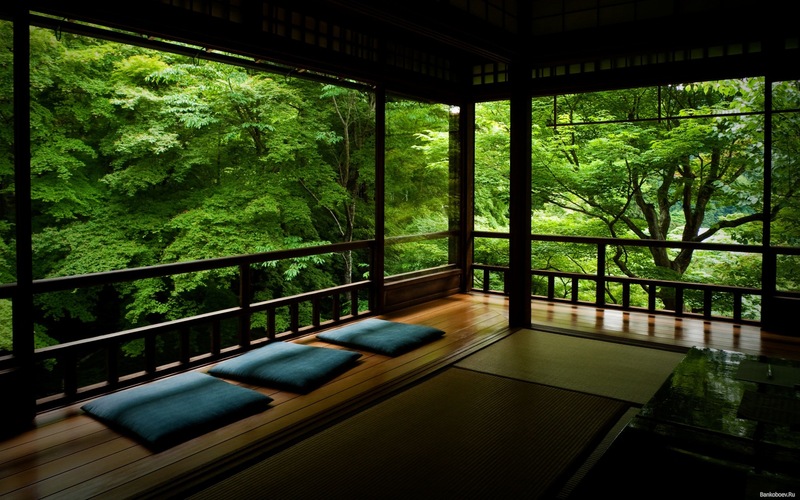 This tranquil Japanese tea house. 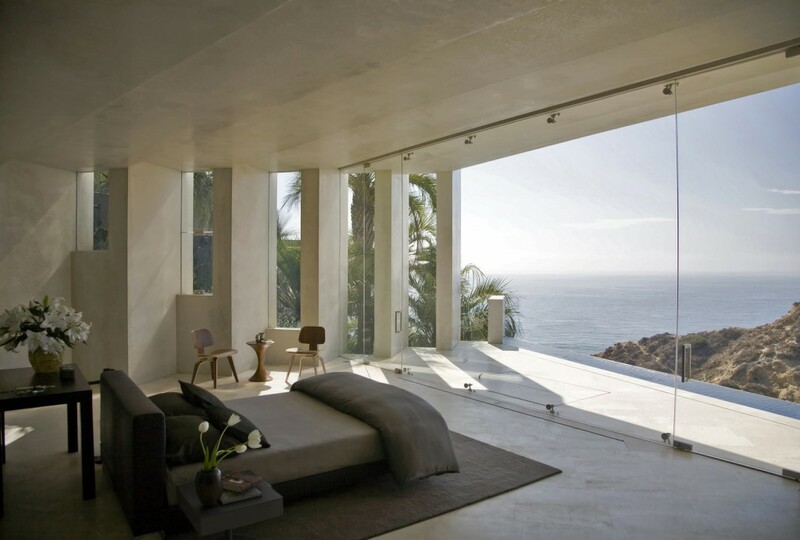 This house that’s missing a few walls. Because there’s no need for them in Southern California. 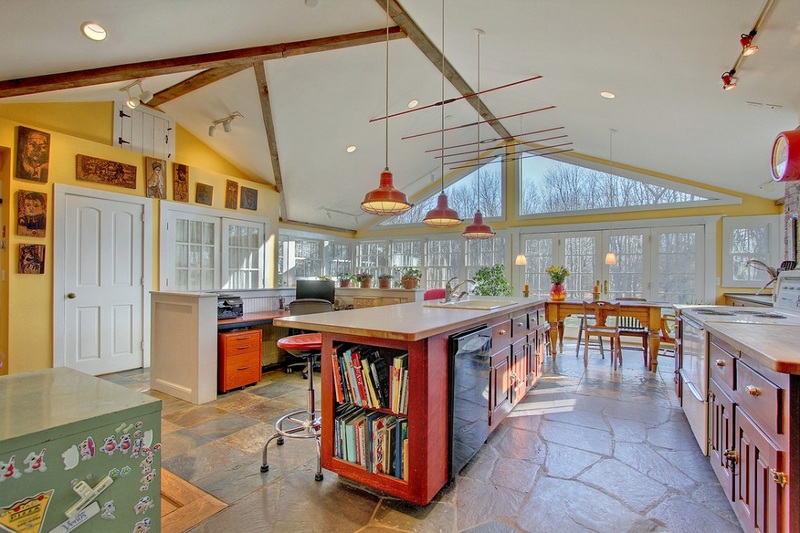 This kitchen with skylights, glass doors and stone tiles. You’ll feel like you’re cooking in a campsite. 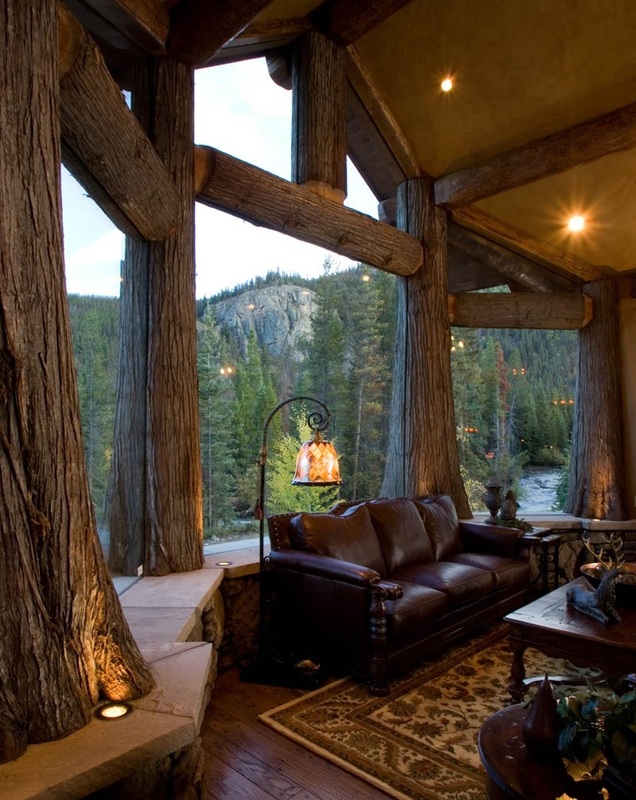 And finally, this log cabin nestled among a forest full of logs.